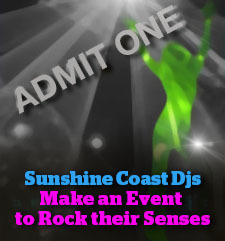 Sunshine Coast DJ’s are the premium Wedding DJ & MC specialists on the Sunshine Coast and throughout Brisbane. We understand how important your wedding day is to you. Whether it’s an intimate backyard reception with a few friends or a grand celebration with an impressive guest list, we have the experience and equipment to make it a success. 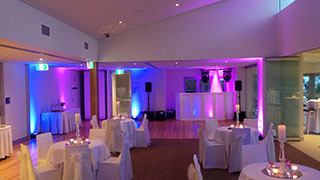 Sunshine Coast Wedding Dj’s specialise in all styles of music from subtle jazz playing in the background through dinner, to the party hits your guests will know and love. Use the magical effect of uplighting to transform your wedding venue and create a truly magical backdrop for the most special day of your life. Uplighting works by placing small LED “uplights” on the ground facing the wall or the element of the room you would like to illuminate. A variety of effects are available to choose from and our lighting experts will help you choose the appropriate effect for your event. The most popular effect is to provide washes of one or more colours around the room. We can match the lighting to your colour scheme. So they could be the same colour as your bridesmaid’s dresses, the flowers or the colour that you have chosen for the sashes. There are hundreds of colours and shades to choose from. They can either be set to a static colour or fade through colours at varying speeds. For example, you may want a blue & pink colour wash through dinner, but through the dancing portion of the evening the lights can fade through a number of colours, quickly change colours, or change to the beat of the music. We work with you to come up with one- of-a-kind lighting options for your wedding that will set your wedding reception apart and make it truly personal and unique. Why not add a funky touch of the 70’s & 80’s with our unique Vertical Mirror Ball. This will impress you and your guests with a touch of nostalgia from the Disco era with a modern twist. This classic & romantic look will never go out of style. We can also provide music for your wedding ceremony and the use of our lapel and cordless microphones, allowing your guests to hear your vows clearly. We can supply a professional sound system; wireless lapel type microphones; customised Wedding Ceremony music; remote microphones for singers or musicians (if needed); and optional remote power for those hard to reach beaches, bluffs and parks. Most people underestimate the role of a Wedding MC, because your MC is responsible for far more than simply introducing speeches and making announcements. Your MC is responsible for the seamless flow of proceedings on the night. They will ensure that everything is on time and everybody knows what is happening. They will liaise and co-ordinate with the function manager, bar staff, DJ, bridal party and speakers on the night so you do not have to worry about a thing. When speaking to your guests, your MC will be confident, friendly and welcoming. 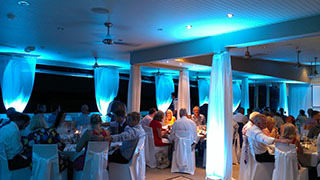 It is their role to create a relaxed atmosphere and to provide structure on the night. In 2013, we attended an MC course in Las Vegas that added an extra depth to our already extensive MC experience. We offer two MC packages. The first package is where your DJ will also perform the MC role. The second package includes a DJ and a dedicated MC, which involves a much greater level of involvement and entertainment with your guests. For a truly memorable Bridal Waltz, consider our “dancing in the clouds” Dry Ice Machine. This machine provides dense, low lying fog that gives the effect that you are dancing in the clouds. It does not rise above 1 -2 feet, is odourless, and leaves no residue. This effect will last for 5-10 minutes. It looks even more spectacular when uplit with colours, and the venues love it, because there is no risk that it will affect their smoke alarms as fog machines do. Have you ever been to a wedding where the Bride & Groom used an iPod, and no-one danced? The music was random, it wasn’t loud enough and there was no party atmosphere. 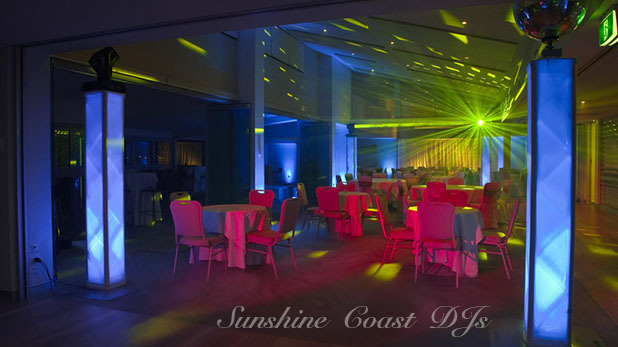 Sunshine Coast DJs offers a wedding iPod package where we provide the dinner and dancing playlists and you can add your formal songs and any other music you want played. Our playlists are put together by DJs who understand how to structure music for weddings. The package includes iPod with music, speakers & party lighting. There are also many other options available, including uplighting or “mood lighting”, Dancing on a Cloud and a pre-recorded customised Bridal Party Entrance. 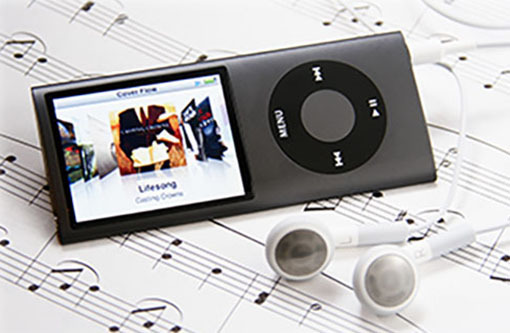 If you are thinking of using an iPod at your wedding reception, why not use one that is already loaded with music that your guests love and will party to.